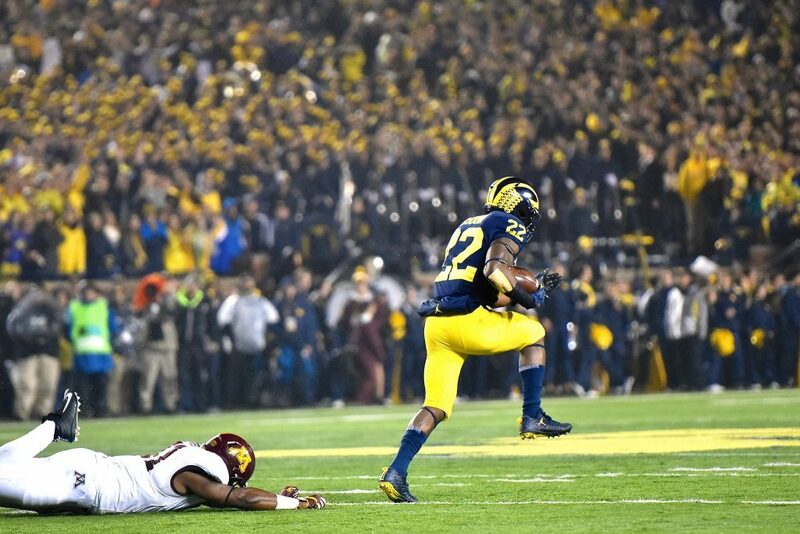 Michigan ran wild against the Golden Gophers. 371 yards on 37 carries and you have a rushing performance I’d be willing to bet you won’t see for another 10 years. Or maybe you’ll see it tomorrow against Maryland, with the way this run game appears to be going. Everyone did their job and did it well; Blocks were hitting home, the backs were making people miss, and the play-calling was simple but effective. Overall, doing the analysis for these plays got pretty repetitive because everyone was doing their job perfectly. When everyone does their job perfectly, big plays happen. By play 7 of the analysis, it was always the puller picking up a key block, the edge blocks doing well, and the running backs making plays. I don’t know what I expected. What did you think of the game film analysis? Tells us what you think and if you have any other parts of the games this season that you’d like to see analyzed and broken down. We’re all ears in the comment section below! Also, make sure to Subscribe to the MGoFish YouTube channel so you won’t miss out on any MGoFilm Analysis, Game Highlights, Hype Videos or Recruiting Highlights/Commitment Videos!